With the winter months not that far away, now is the best time to get your rural rental property market-ready, given wintry weather conditions hampering access in remote locations and most tenants preferring to be in their new home well before Christmas. Galbraith has witnessed an increase in interest from those keen to sample rural living without having to commit to a mortgage. 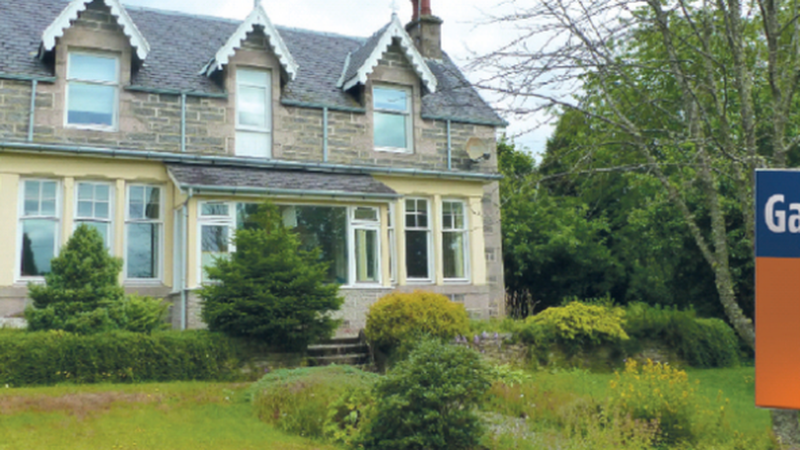 The high level of demand for rental properties in Scotland reflects a shortage of good quality accommodation available to let, particularly rural properties. The average time taken for Galbraith to let out a property is 3.3 days highlighting the strength of the rental market. For current and potential landlords considering their options, they should also take note of the new energy-saving legislation coming into force in the private rented sector. Landlords can kill two birds with one stone by making their property winter-ready and ensuring compliance with the new energy efficiency standards. Where there is a change in tenancy after 1 April 2020, the property will need to meet the Energy Performance Certificate (EPC) band E, extending to all private rented properties to be EPC E by 31 March 2022. Where there is a change in tenancy after 1 April 2022 the property will need to be EPC band D, extending to all privately rented properties to be EPC D by 31 March 2025. People choose to rent in the countryside for a number of reasons, be it a lifestyle choice to improve their work-life balance, for employment opportunities or to retire into a more relaxed pace of life by selling their property to free up capital and then choosing to rent. As we have witnessed, there is high demand for properties in the rural lettings market throughout Scotland and we are urging current and would-be landlords in the sector to make sure their property is up to standard. Making the appropriate upgrades needed now is investing well for the future and should ensure your property offers a good return for your money allowing you to operate a profitable rental business. Galbraith recently advised two clients on improvements to their rural property, following an independent EPC assessment being carried out, to get it up to market standard and comply with the new EPC legislation. In both cases a new energy-efficient boiler was installed and loft insulation added. For Coyle Croft in East Ayrshire, the energy efficiency rating improved from G to E; and for Dalwhatswood Farm in Newmilns, the improvement was from E to D. The tenants in both cases were in receipt of state benefits which meant that grants were available from the Scottish Government to cover 100% of the costs of the work – £8,000 for the first property and £6,500 for the second. Galbraith can advise landlords on how to minimise risk for their assets, comply fully with the legislation, estimate the potential costs and advise on suitable building contractors to carry out the works and project manage the process where necessary. Galbraith staff are RICS-registered surveyors, who can also provide energy efficiency assessments for rental properties, whether for compliance or marketing purposes.